If you ever have had the opportunity to check out the prices of the B&Bs and resorts in California’s wine country you would quickly come to realize that an RV rental is an excellent low-cost alternative for visiting wine country. To get set up for the perfect California wine country RV vacation, check out the California RV Vacation and Rental Resources page. 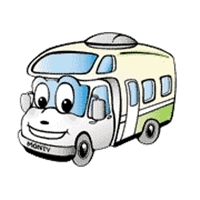 This entry was posted in California RV Camping Vacation, RV Vacation Ideas, Wine Country RV Vacations. Bookmark the permalink.